We are excited to announce that an additional 143 storage units are available to rent at our Prineville, OR facility. We have added 24,000 more square feet of rentable space at this location for Central Oregon residents.Space is limited to rent self storage in Bend, Oregon. Because of the region’s growing popularity, and the influx of visitors and permanent residents, storage has become more important than ever before. Secure Storage understands the need for self storage solutions. If you have been looking to reserve self storage units in Bend, Oregon, you may have noticed that there is currently next to nothing available in the market. Secure Storage has the solution. 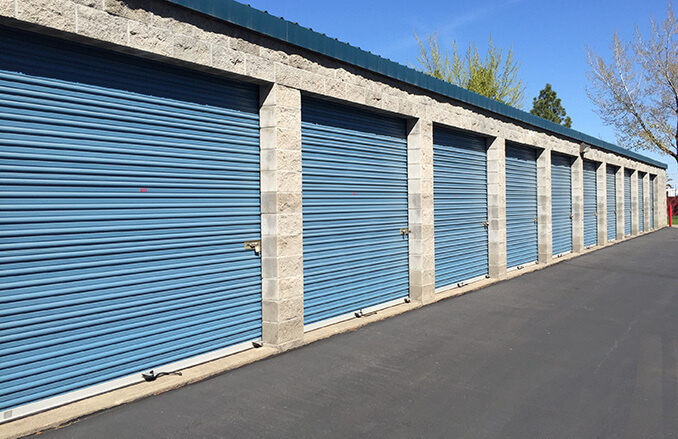 Secure Storage in Prineville, OR provides an excellent option for people who are looking to rent self storage in Bend, or the surrounding area. The rates for Prineville storage rentals are typically lower than other Central Oregon cities. The winter weather is much milder in Prineville, making trips to your unit much more ideal. This means better access to your valuables year round. This winning combination of accessibility and affordability make Prineville Secure Storage a great option. On top of that, our 143 freshly constructed units will store your valuables clean and secure at our facility all year long. When you rent your storage unit, you have access to a plethora of self storage unit size and price options. Secure Storage knows there are a wide variety of lifestyles and needs for self storage. Check out our pricing and unit sizes we offer. We understand that finding a quality storage unit in Central Oregon can be a challenge. This is why we expect our self storage to fill up fast at our Prineville, OR location. Our new storage units won't last long, rent your storage unit now! Call our Prineville location at (541) 447-2200 or contact us today online to get started. See what we have available in Prineville now!